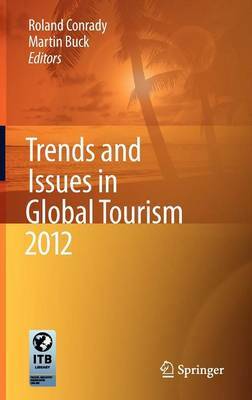 This book offers insights into important trends and future scenarios in the global tourism and travel industry. Besides the general topics (aviation and hospitality industry, destination management, marketing, and distribution management) it analyses current challenges and impacts resulting especially from developments in social media, corporate social responsibility and eco-mobility. Sustainability in the global tourism sector and particularly eco-mobility is one of the top themes to-be and therefore a focus of this book. Among the contributors to the book are well-known notabilities from institutions such as the UNWTO and top executives of various segments of the tourism and travel industry. The articles are based on presentations and panel discussions presented at the world's largest tourism convention, the ITB Berlin Convention.